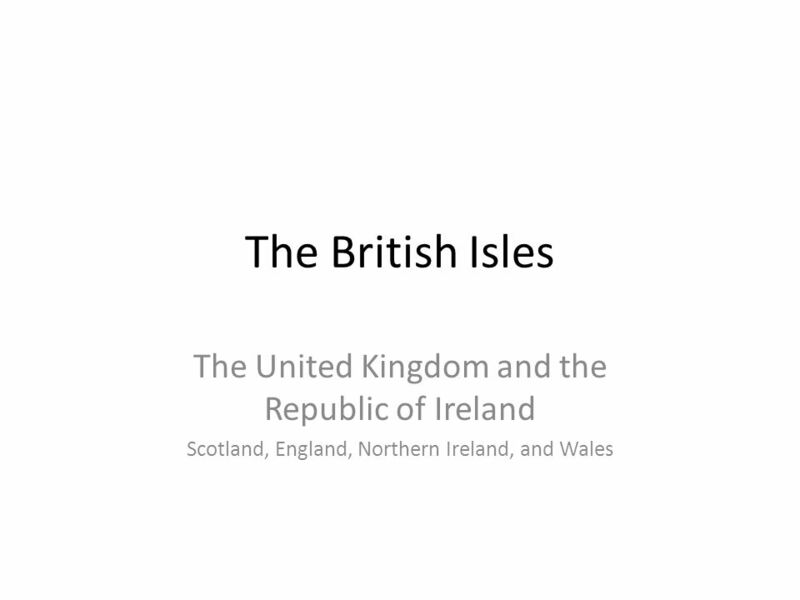 The British Isles The United Kingdom and the Republic of Ireland Scotland, England, Northern Ireland, and Wales. 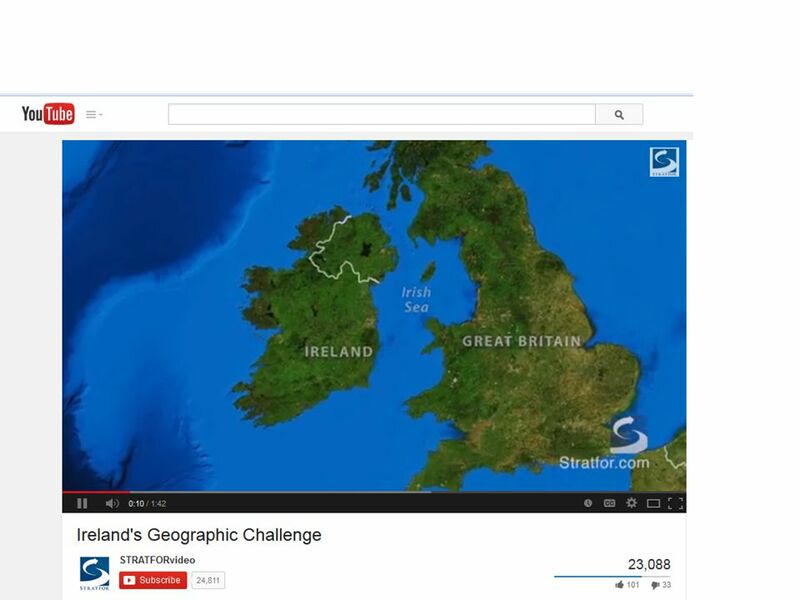 2 Objectives On a blank map of Europe, identify the United Kingdom and the Republic of Ireland. On a blank map of Europe, identify the North Sea and the English Channel. 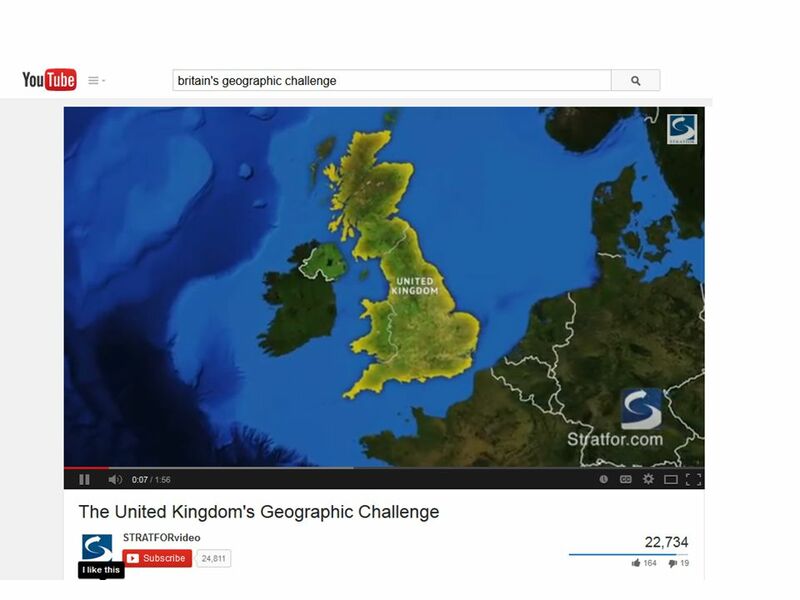 Explain the difference between the United Kingdom and Great Britain. 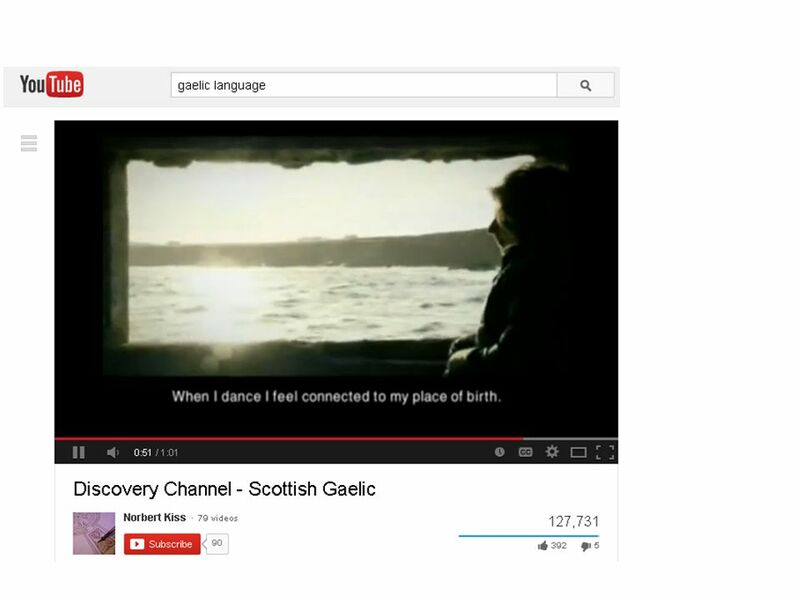 Tell what is happening to Gaelic Languages. 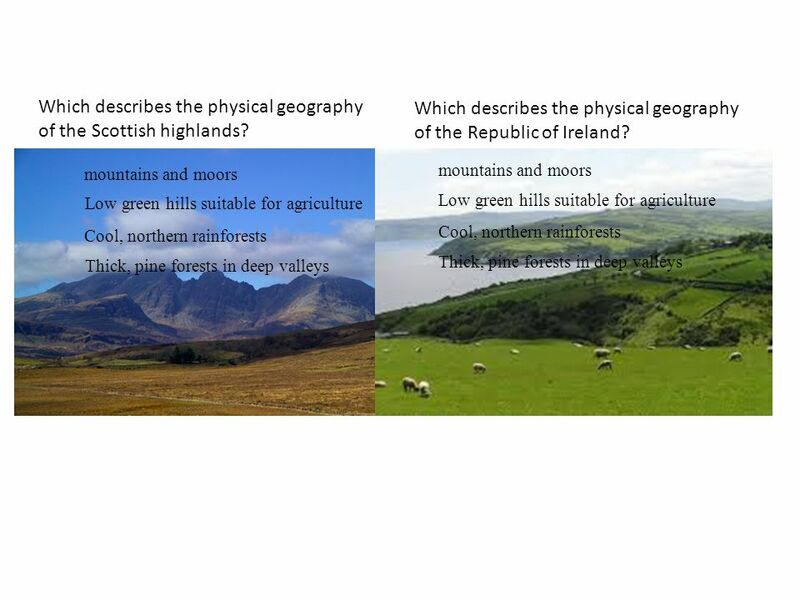 Describe the physical geography of the different countries of the British Isles. 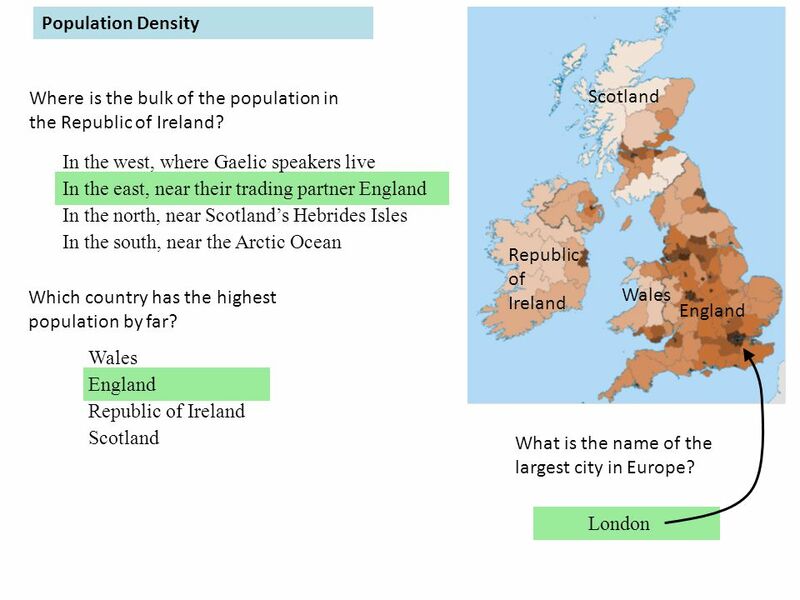 Compare the population density in different parts of the British Isles. Identify what the Euro is. Explain the United Kingdom’s choice whether or not to use it. 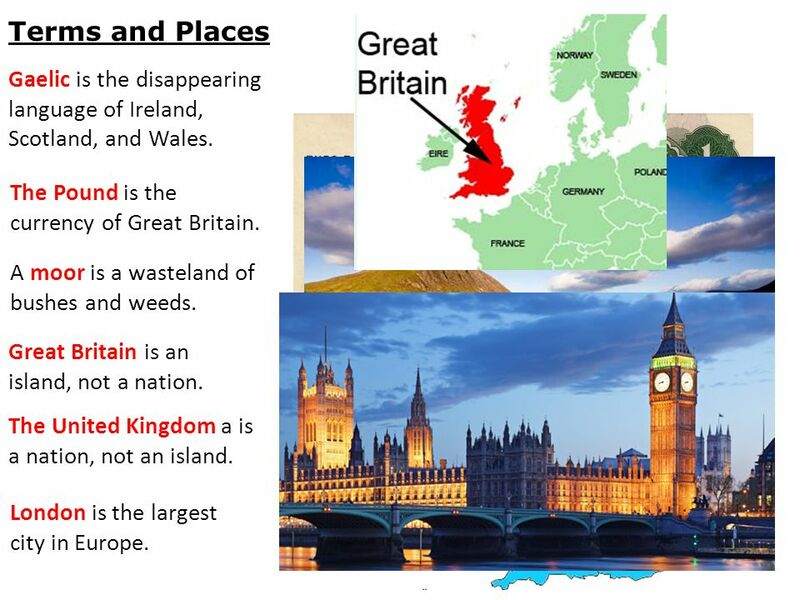 3 Great Britain is an island, not a nation. 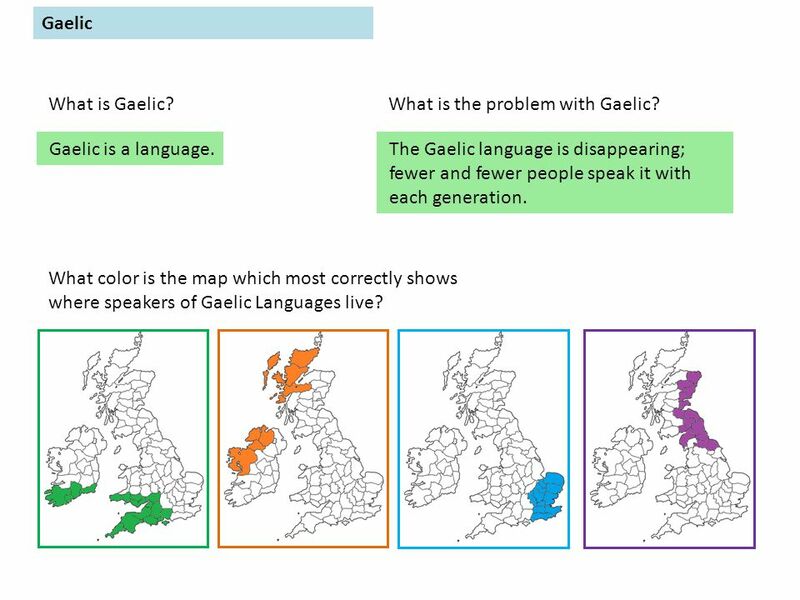 Terms and Places Gaelic is the disappearing language of Ireland, Scotland, and Wales. The Pound is the currency of Great Britain. A moor is a wasteland of bushes and weeds. 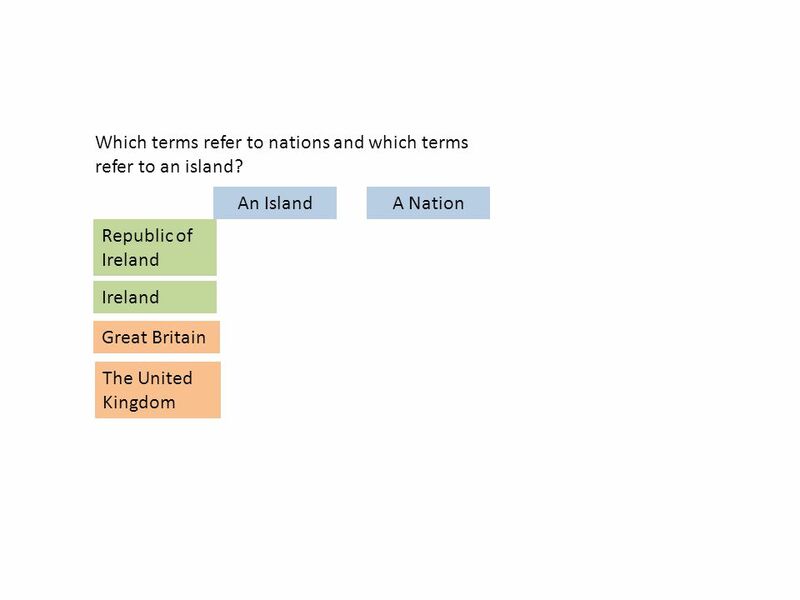 The United Kingdom a is a nation, not an island. London is the largest city in Europe. 4 The British Isles are in the northwest of Europe. On their west is the Atlantic Ocean. On their east is the North Sea. 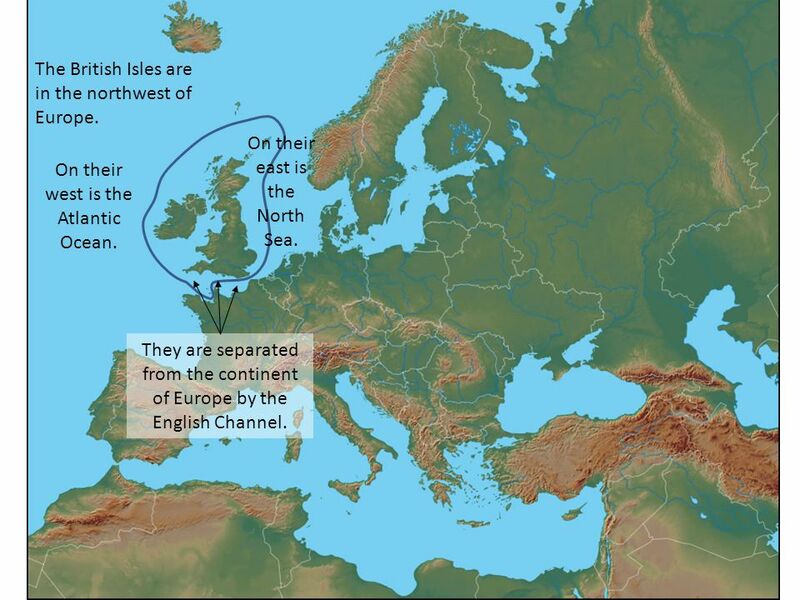 They are separated from the continent of Europe by the English Channel. 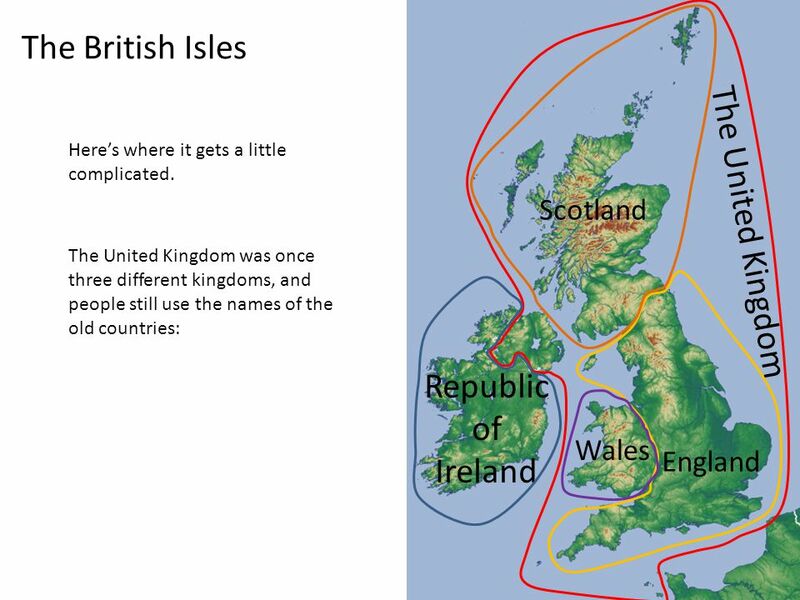 7 The British Isles The United Kingdom Republic of Ireland The United Kingdom was once three different kingdoms, and people still use the names of the old countries: Scotland England Wales Here’s where it gets a little complicated. 9 The Highlands and Islands are a rocky and mountainous. The greatest of these is Loch Ness. 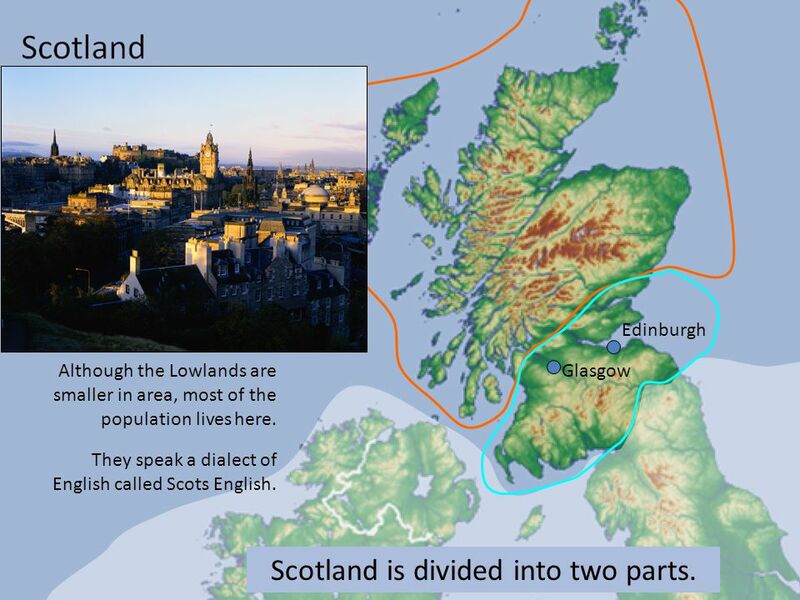 Scotland is divided into two parts. 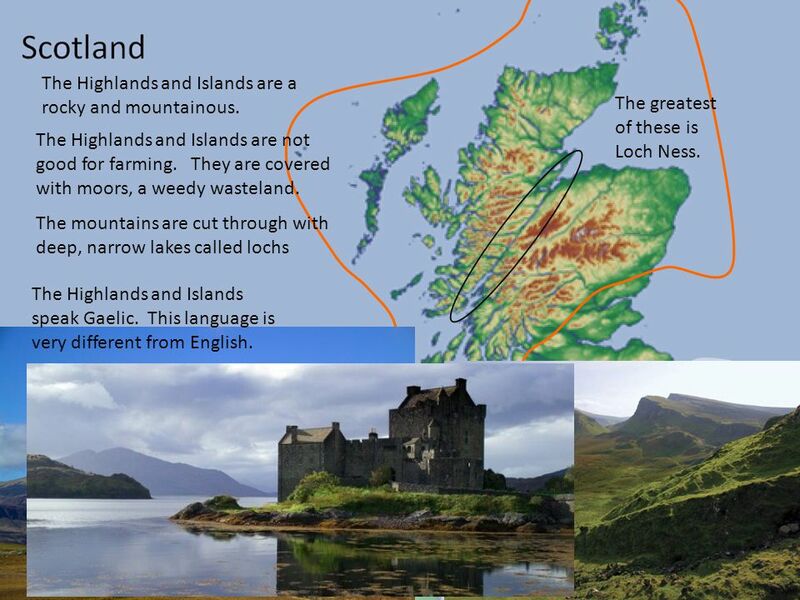 The Highlands and Islands speak Gaelic. This language is very different from English. 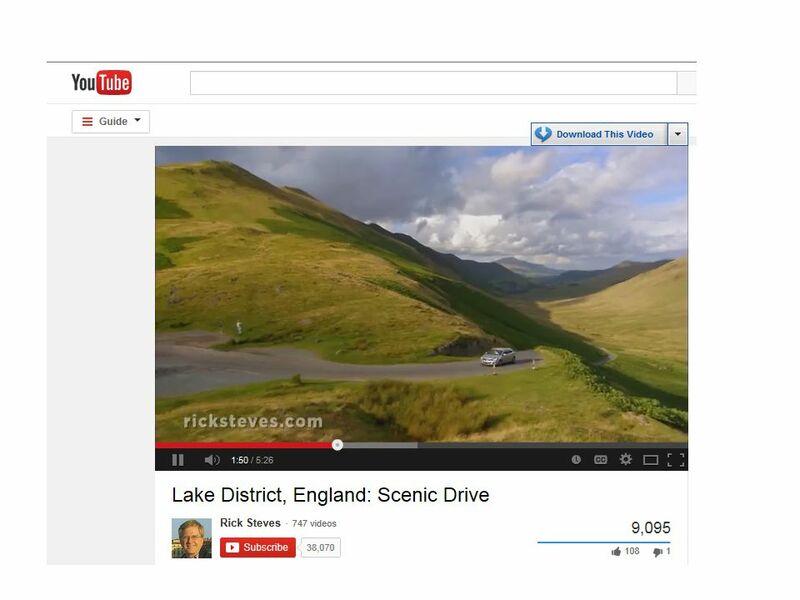 The mountains are cut through with deep, narrow lakes called lochs The Highlands and Islands are not good for farming. They are covered with moors, a weedy wasteland. 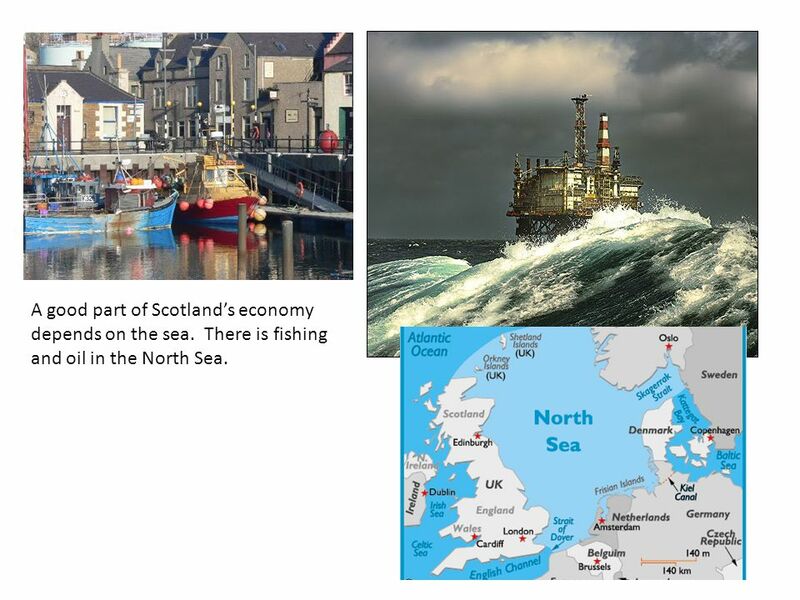 11 A good part of Scotland’s economy depends on the sea. There is fishing and oil in the North Sea. 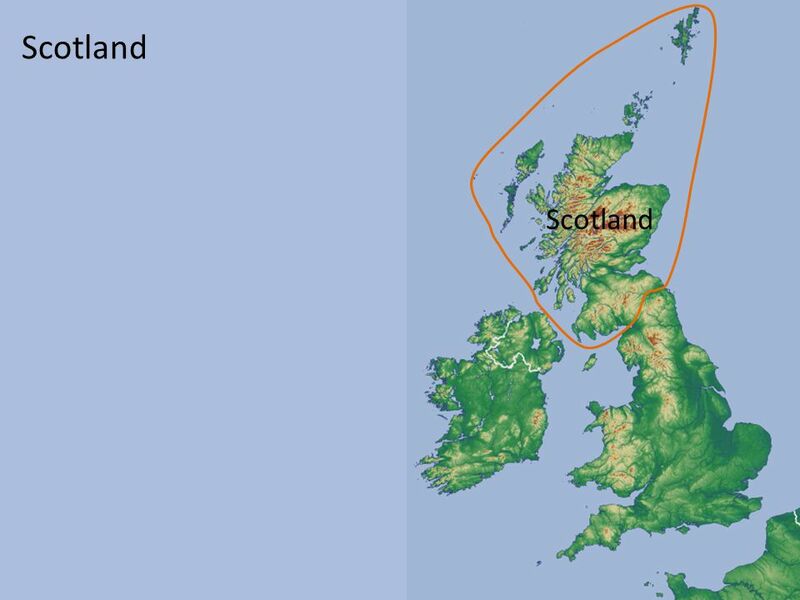 12 In ancient days, Scots were organized into clans. Haggis is a traditional Scottish dish. It is made from innards and oatmeal cooked in a sheep’s stomach. Scots also eat fish, such as salmon, and their Angus beef. 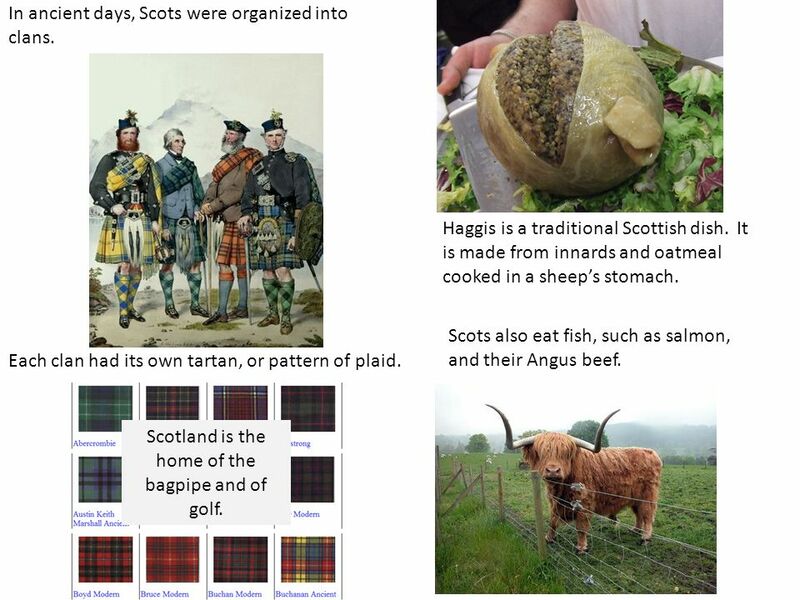 Each clan had its own tartan, or pattern of plaid. Scotland is the home of the bagpipe and of golf. 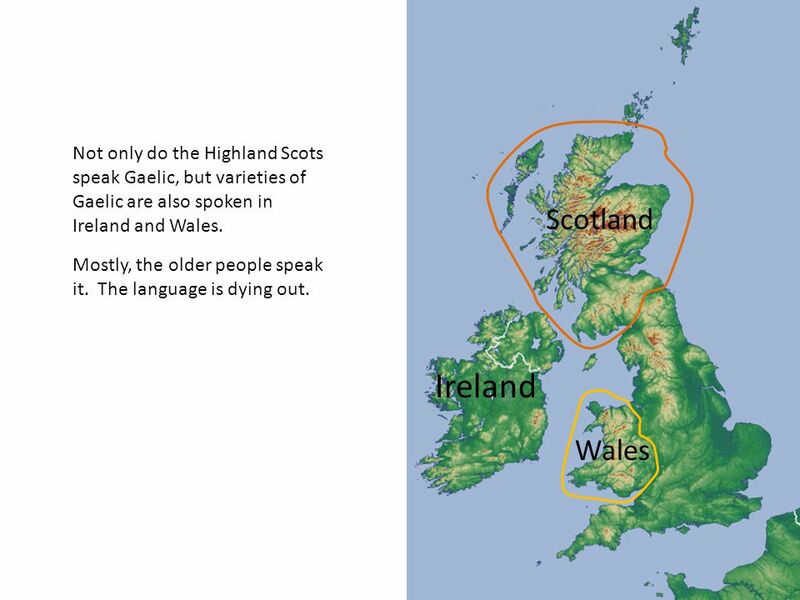 13 Not only do the Highland Scots speak Gaelic, but varieties of Gaelic are also spoken in Ireland and Wales. 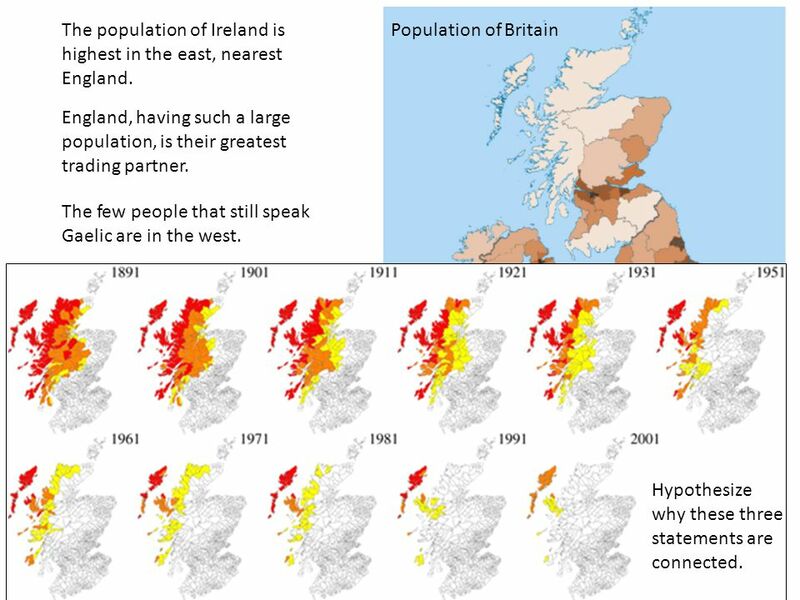 Ireland Scotland Wales Mostly, the older people speak it. The language is dying out. 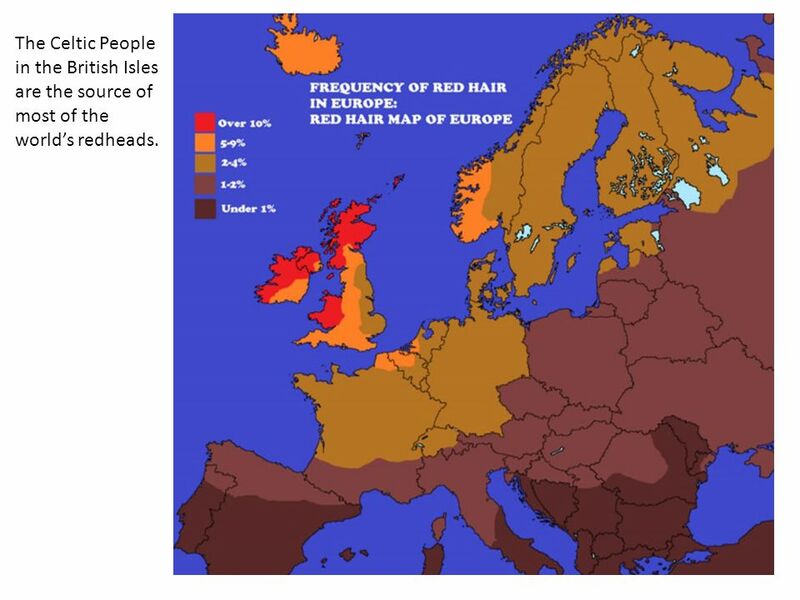 15 The Celtic People in the British Isles are the source of most of the world’s redheads. 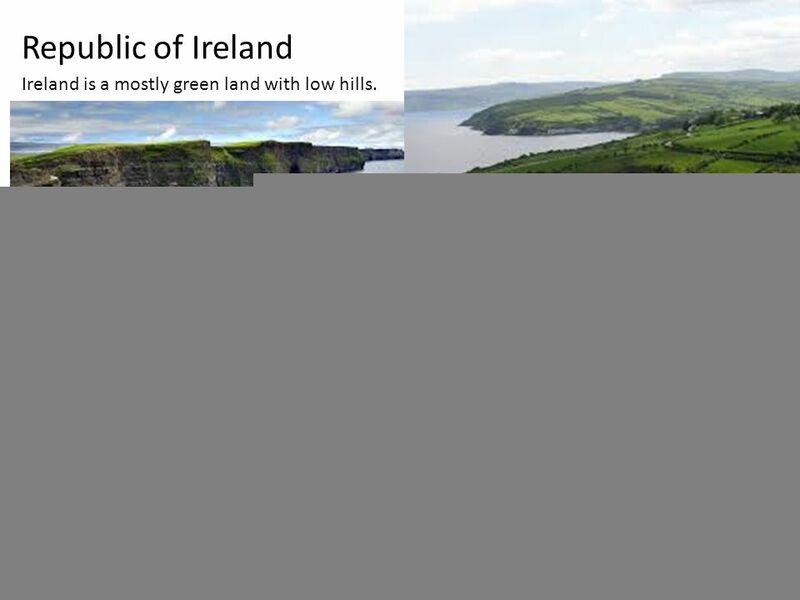 16 Republic of Ireland Ireland is a mostly green land with low hills. 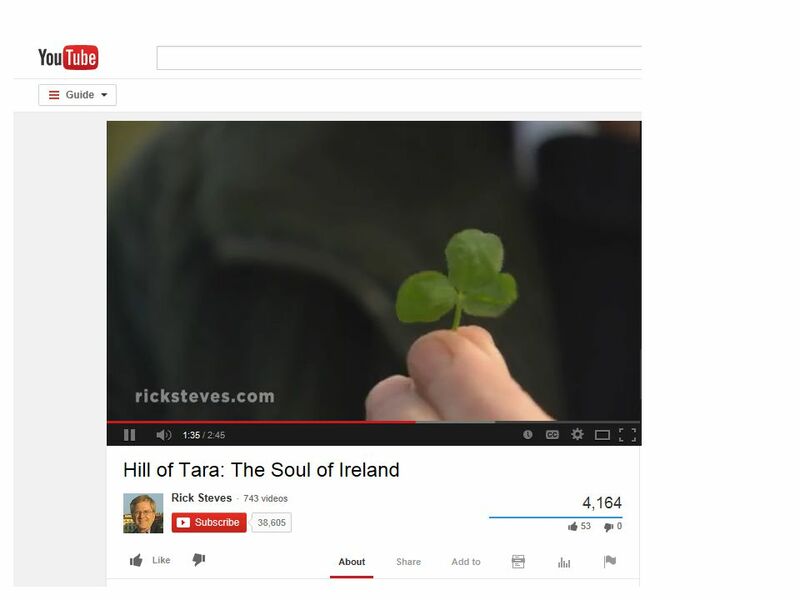 17 What is the source of the Irish economy? The map above shows the number of adults employed in agriculture. 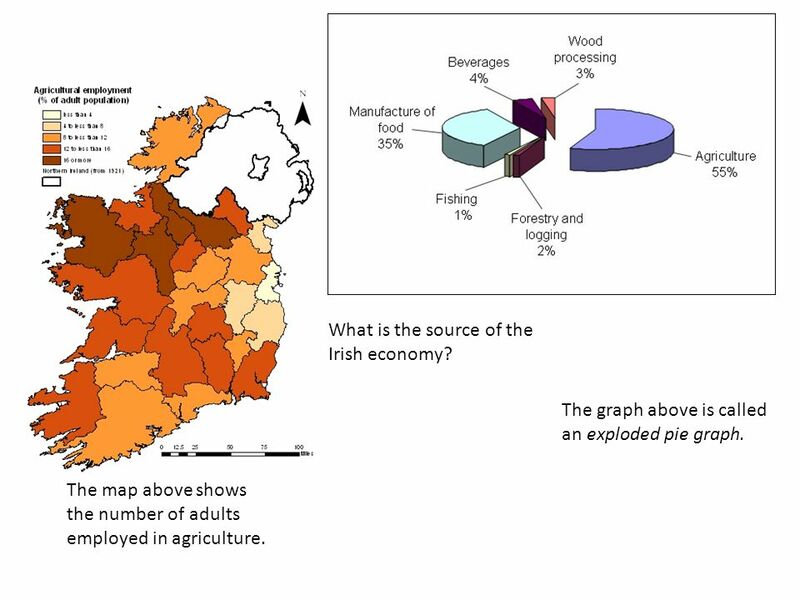 The graph above is called an exploded pie graph. 22 Some Europeans thought they should all use the same currency. 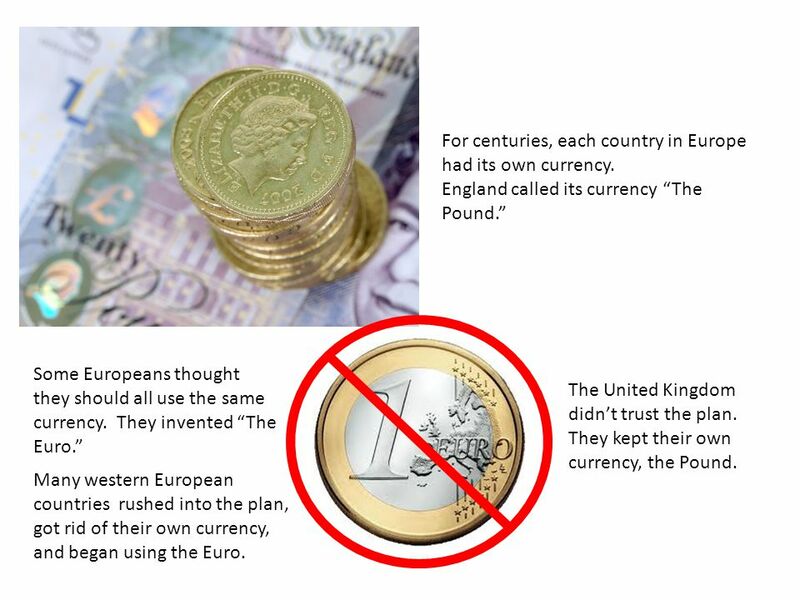 They invented “The Euro.” For centuries, each country in Europe had its own currency. England called its currency “The Pound.” The United Kingdom didn’t trust the plan. They kept their own currency, the Pound. Many western European countries rushed into the plan, got rid of their own currency, and began using the Euro. 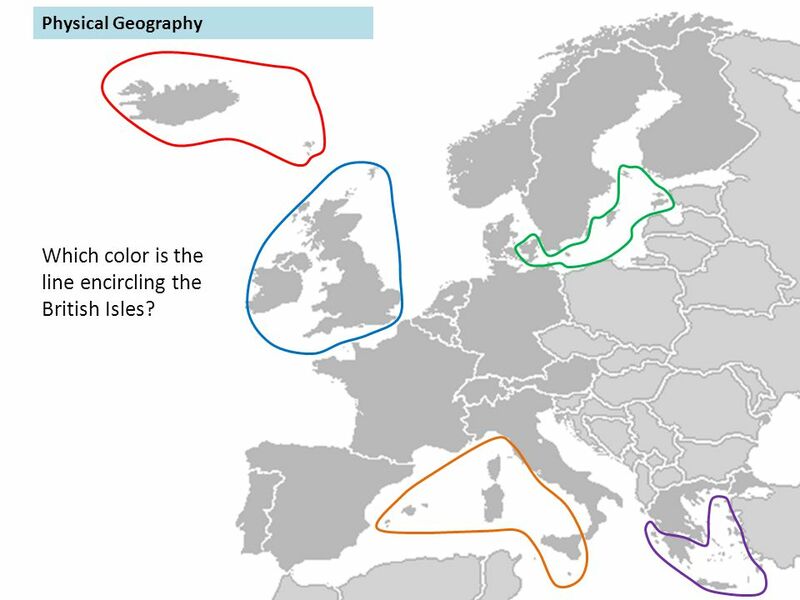 26 Physical Geography Which color is the line encircling the British Isles? 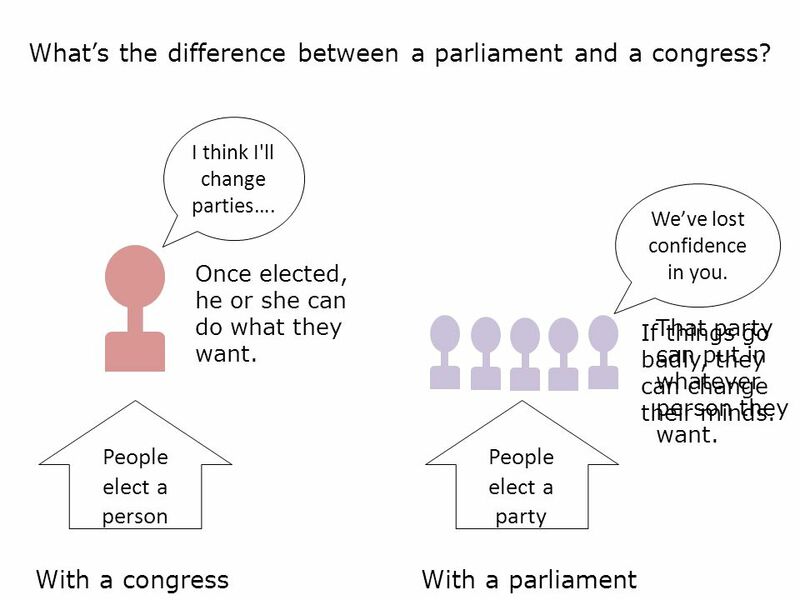 35 What’s the difference between a parliament and a congress? People elect a person I think I'll change parties…. Once elected, he or she can do what they want. With a congress People elect a party We’ve lost confidence in you. That party can put in whatever person they want. With a parliament If things go badly, they can change their minds. 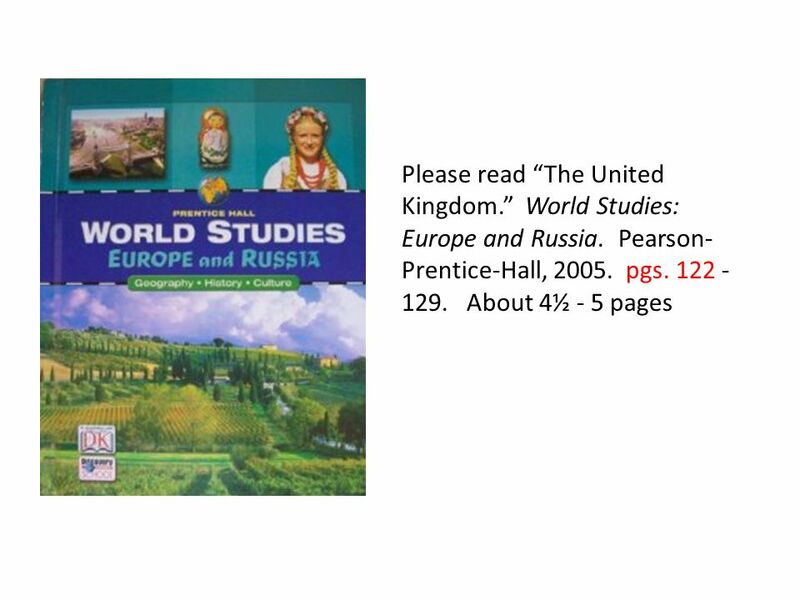 Download ppt "The British Isles The United Kingdom and the Republic of Ireland Scotland, England, Northern Ireland, and Wales." 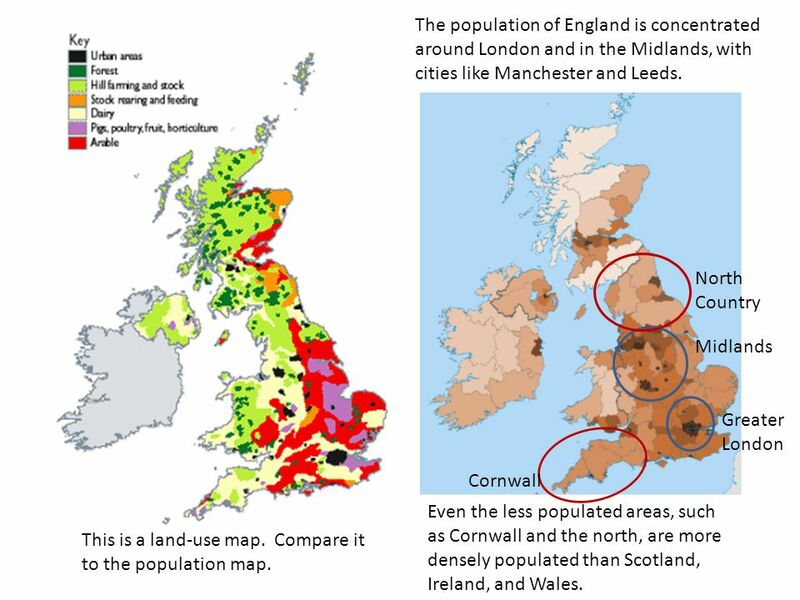 Scotland & Wales Scotland one third of the land in the United Kingdom Less than 10% of the population lives there. Landscape rugged Cheviot Hills and. 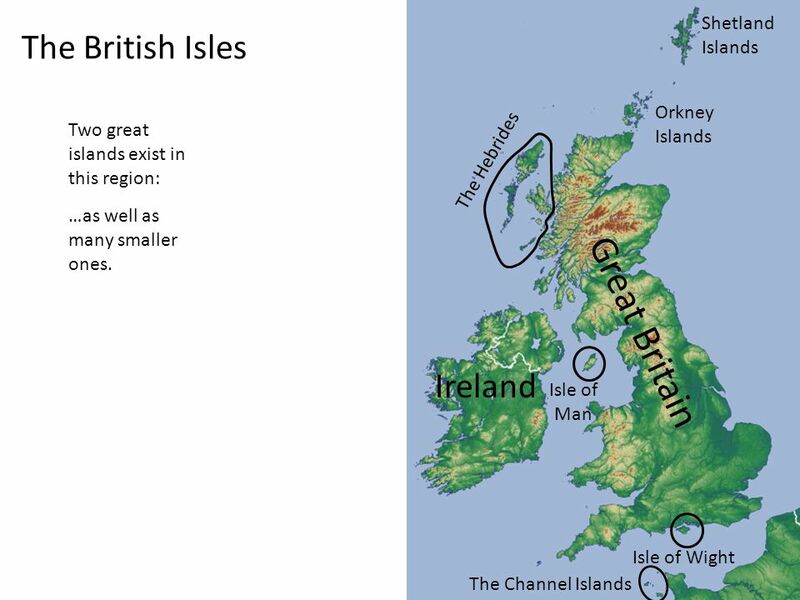 United Kingdom and geography Great Britain is an island nation in Western Europe, the British Isles, and several smaller islands. 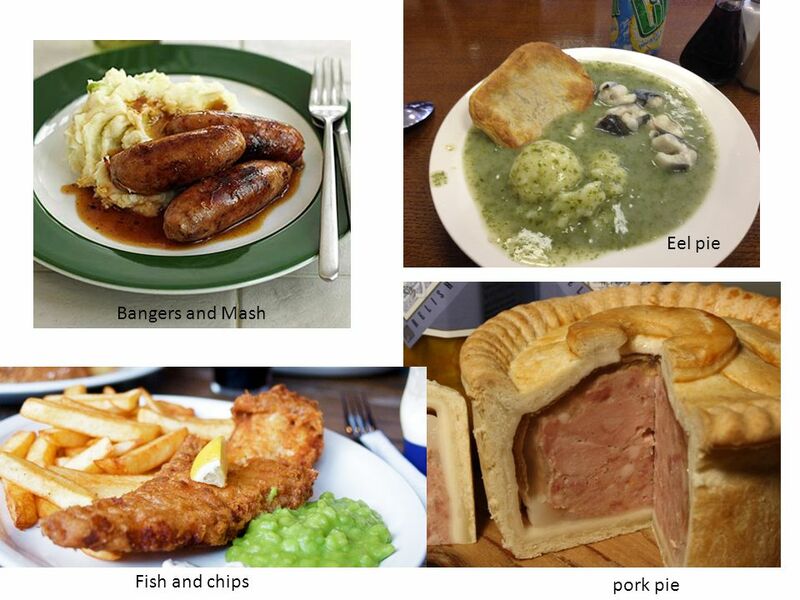 The United Kingdom is. The United Kingdom England, Scotland, Wales, Ireland. Where are you from? A country reportThe United Kingdom Carme Florit The United Kingdom. 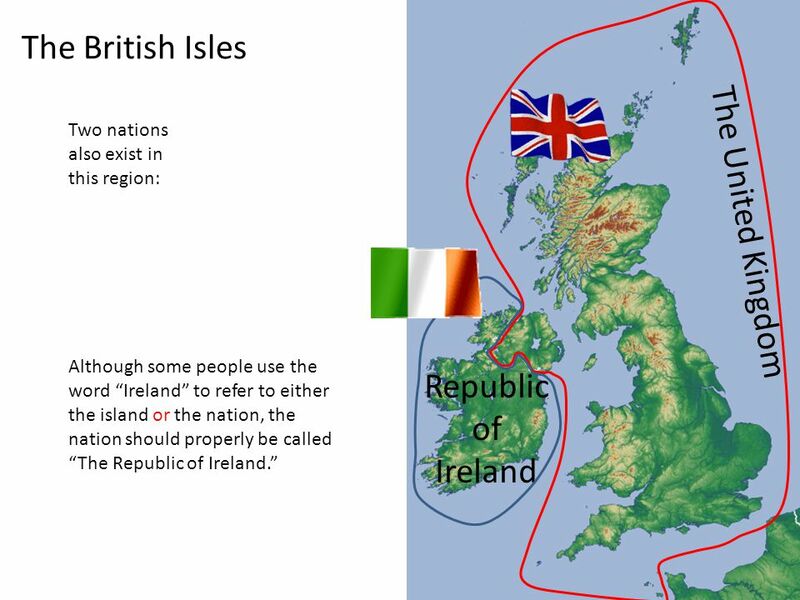 The United Kingdom of Great Britain and Northern Ireland 1. What do you know about …?. Two main islands and 6,000 smaller islands. Two countries and three crown dependencies. The United Kingdom of Great Britain. 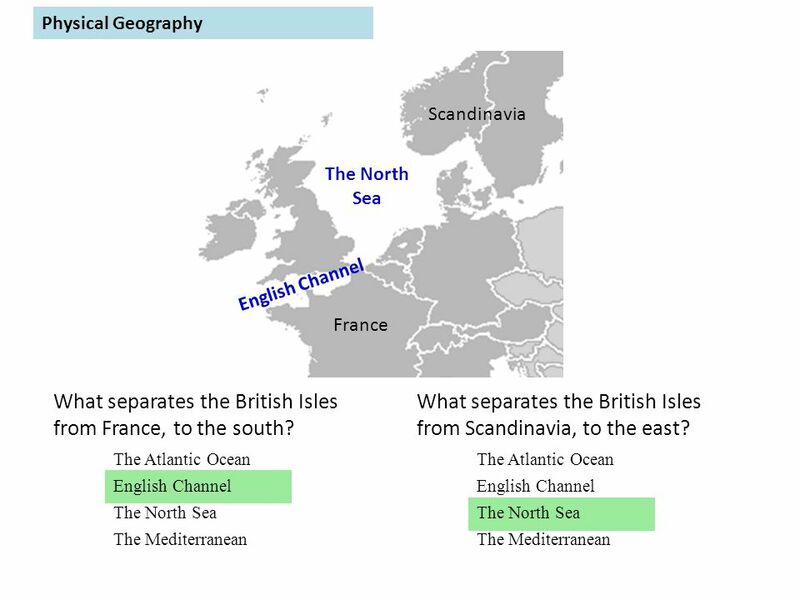 Part One British Geography Teaching requirements To master the following contents: 1. the names of the country 2. the location of Britain 3. the geographical. 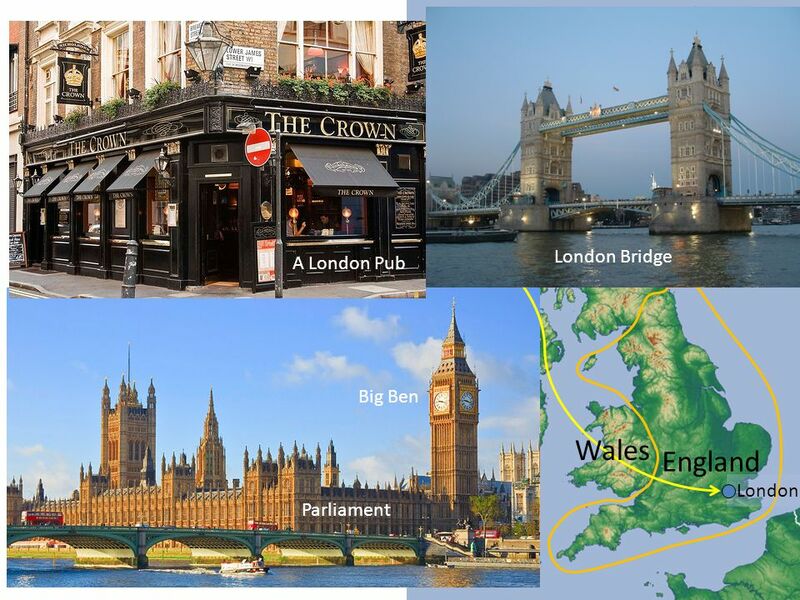 London bridge (tower bridge) The Big Ben The parliament house [ 'p ɑ :ləmənt ] The River Thames. Scotland. Main information Scotland is a country that is part of the United Kingdom. Occupying the northern third of the island of Great Britain, it shares.